A summary of all the things happening in the OpenStreetMap (OSM) world. The latest news about the rebuild progress at the “Rebuild” can be found here and here. The OSM Foundation introduces the Ulf Möller Memorial Fund und Award. A Kickstarter project by Kate Chapman for the „First Free Haitian Creole OpenStreetMap Book“ can be found here. The International Committee of the Red Cross (IRRC) is asking for help to trace aerial imagery of Tierralta, Colombia. Read more here. The HOT have some new aerial imagery for Mali, Niger, Bangladesh, Colombia and South Sudan which can be used for mapping. Tom MacWright explained in a blog post how the new State of the Map US website works. Will White writes about the technology which Mapbox uses to create maps. Taking the Hackerbus to the mapping party. A Step-by-Step introduction to QGIS, PostGIS, and TileMill for Windows. This entry was posted in Uncategorized, WeeklyOSM on May 20, 2012 by Pascal Neis. The latest news about the license change and the data rebuild-process. The OSM project has more than 600 000 registered members now. Pascal created a new webpage which shows the latest active members. You will find the blog post here. Apple’s new iPhoto attributes the OSM project as a source now. The State of the Map US will take place in Portland on October 13th and 14th, 2012. Six OSM projects have been accepted for this year’s Google Summer of Code. The next Wherecamp Berlin will take place on June 22nd and 23rd. You can already register here. „What we can learn from Wikipedia“ a new blog post by Frederik Ramm. Dan Stowell wrote a blog post about how he made a nice map handout from OSM. An online cycle map of Oxford was developed based on OSM data and created with Maperitive. The “Worst Of OSM” webpage shows some failed OSM mapping or import efforts. The new HOT Technical Working Group will start their first IRC Chat on Thursday May 10th at 3pm GMT. Read more here. The “Waymarked Trails: Hiking” webpage is available in seven new languages now. The new Maperitive version can create its own Walking papers now. You will find a description here. A new version of the Overpass API is available. You can find all changes and new features here. For all new readers: The Overpass API is a read-only API that serves up raw XML encoded OSM map data. A new plugin for the Leaflet open source library enables a feature to display GPX or KML overlays or a Google layer. You can find the code on github. This entry was posted in Uncategorized, WeeklyOSM on May 8, 2012 by Pascal Neis. In January, 2012, our friend Ulf Möller died unexpectedly. Ulf was a mapper known for his smile and his helpful demeanor. He was also an OpenStreetMap Foundation board member, elected in 2009 and served on the License Working Group. His friends in the OpenStreetMap community have struggled with this; How can we recognize Ulf’s contributions to the community? How can we cope with our feelings of loss? The Möller family have asked us to accept donations to the OpenStreetMap Foundation in Ulf’s name, to continue his contributions to the project. 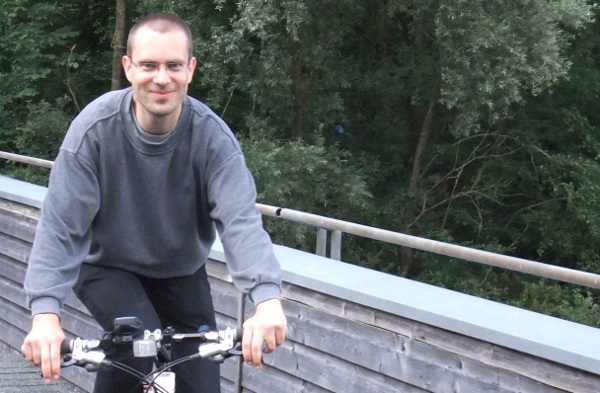 The Ulf Möller Memorial Fund will serve to advance the cause of OpenStreetMap as Ulf did. You may honour your memories of Ulf by donating in his name. Donations to the Memorial Fund can be made by credit card, paypal or bank transfer. The Ulf Möller Memorial Award will recognize an individual each year who improves OpenStreetMap through good mapping, benefit to the community and other improvements to the OpenStreetMap project. You may nominate a person who makes a difference to the OpenStreetMap project for a Memorial Award by email. Include the name of the nominee and their noteworthy actions. The first Memorial Award will be recognized in May 2013. We’ll be able to celebrate the memory of our friend and the continuing good works of mappers, each May. Photo courtesy the Möller family. This entry was posted in Uncategorized and tagged memorial award, memorial Fund, Ulf Möller on May 3, 2012 by Richard Weait.